Last May, Sean, Colin, and myself “drafted” our choices for a month of Criterion reviews. When I selected Close-Up I did so because the concept sounded intriguing yet I couldn’t quite grasp it. Is it a documentary? A mockumentary? Even after watching the film I’m not sure, but that’s what makes it great. Close-Up blurs the line between fact and fiction in a way rarely seen in cinema. It’s rarely seen because the opportunity for a film like this rarely comes up. It was good timing on part of the film’s director Abbas Kiarostami and his commitment towards convincing the “cast” to do this that made this film happen. Close-Up begins with a group of officers being escorted to a house in Northern Tehran. The head officer tells the driver they are going to arrest a man who has impersonated popular Iranian filmmaker Mohsen Makhmalbaf and gained access to the home of an innocent family. The officers arrive and arrest the man who is, in fact, Hossain Sabzian, a self-proclaimed cinephile who didn’t mean to harm anyone. This opening scene, as far as I can tell, is a reenactment. Meaning Kiarostami actually convinced a man to recreate his own arrest in the same house with all the same people for context for the rest of the film. That’s crazy! We’ve all seen re-enactments. Like in the Thin Blue Line or on that old TV show where Robert Stack wore a trench coat and crept around alleys, but not like this. Not with the actual people. At least not in any film I’ve ever heard about. What is real in the film is Sabzian’s actual trial… I think. These scenes have a distinctly more grainy look to them to help distinguish them from the rest of the film but again, are they real? 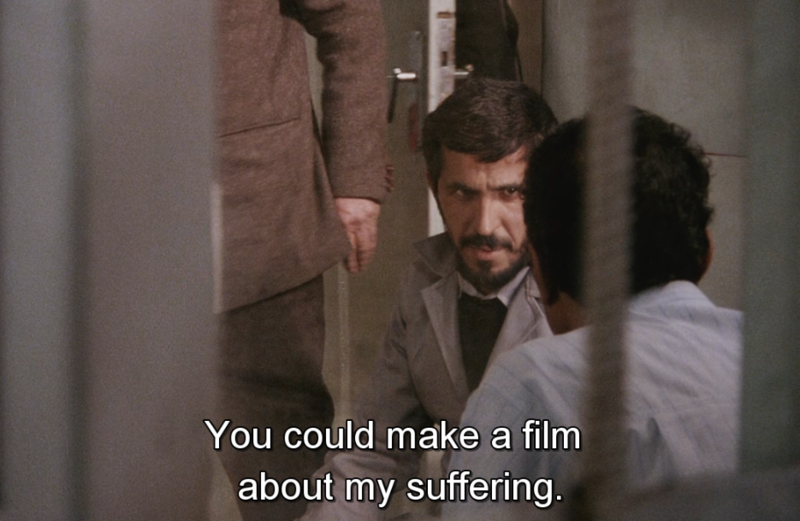 I have my doubts because there is a scene earlier where Kiarostami asks the Judge if they can move the trial date up to compensate for his filming schedule. No way that happened but as far as I can tell they did. Was that interview with the Judge real or pre-planned? It wasn’t filmed with the grainy camera so I don’t know. What is Sabzian’s crime exactly? Shown in a reenactment, we see Sabzian riding the bus with a published copy of the screenplay for the Mohsin Makhmalbaf sports-drama The Cyclist. An older woman, Mrs. Ahankhah (playing herself of course) sits next to Sabzian and asks where he bought the script as she is a fan of the film. In a moment that Sabzian himself can’t quite explain, he tells Mrs. Ahankhah that HE IS Makhmalbaf. He then proceeds to lie by telling her he is out and about scouting locations and looking for actors. this leads to Sabzian visiting the Ahankhah residence off and on for TWO WEEKS. Again, you can’t make this stuff up… can you? Sabzian never seems to pose any real threat, coming over and talking, walking around rooms pretending to frame shots. 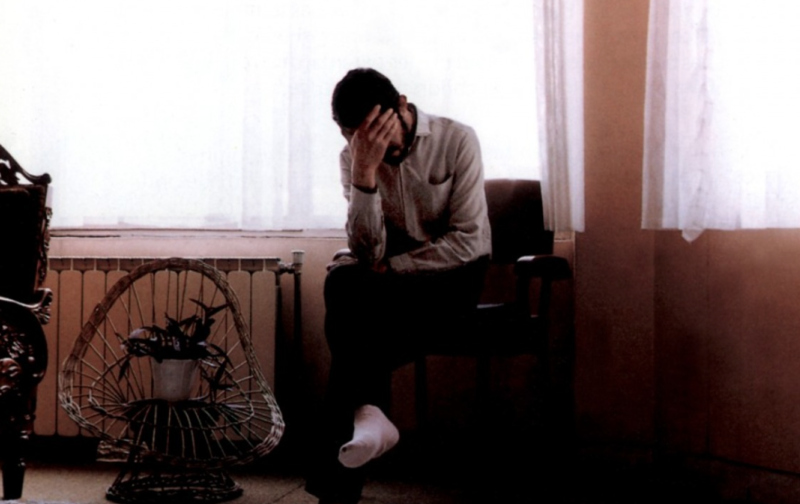 Later, Mrs. Ahankhah sees a magazine cover with a picture of Makhmalbaf and with her husband promptly calls the police. Sabzian is taken in. Kiarostami becomes involved in the story due to its ties to the cinema and tries to understand why Sabzian would do such a thing. Sabzian, who is a young father with not much in the way of employment explains he loves art, particularly cinema. 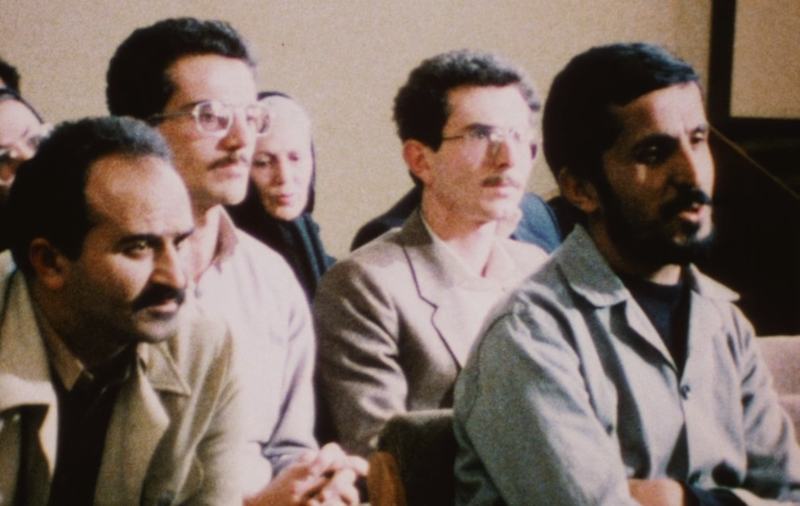 He even asks Kiarostami about his different cameras in the courtroom to which Kiarostami explains that the camera focused on him is for “Close-ups”. We gather Sabzian likely carried out his crime to imagine what it would be like to be a real artist. To be considered as someone important and creative. To have a purpose. 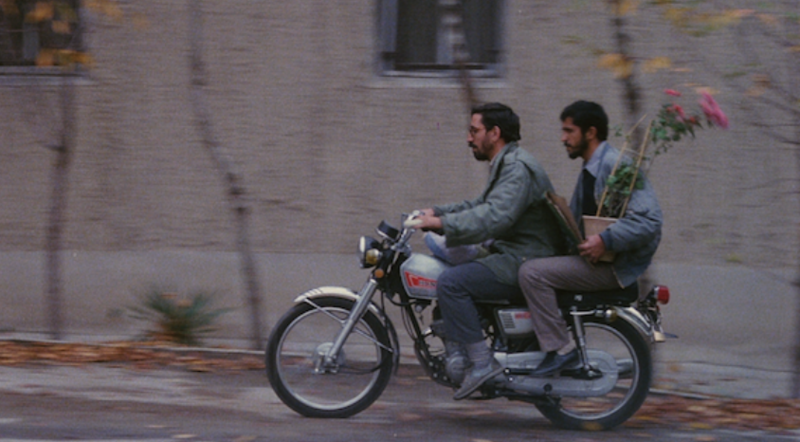 It’s a sad story about identity and Kiarostami doesn’t miss or step over any second of it. The film reminds me of a less sinister and more thoughtful version of the documentary The Imposter (which I also recommend) but really it occupies its own curious spot in film history. The timing of events and the relaxed pacing make for an engaging but not overly dark or depressing portrait of a person who’s personal crisis went a little too far. You know… How would Kiarostami have heard about this so fast and be able to film the whole court case on his schedule so conveniently? See, I can’t tell what’s what but I don’t care. A film is like a magic trick, so much of it is about making you believe in something without explaining how it happened. I don’t know how this happened, I don’t know what’s real, but that’s okay. Close-Up is a hell of a magic show.